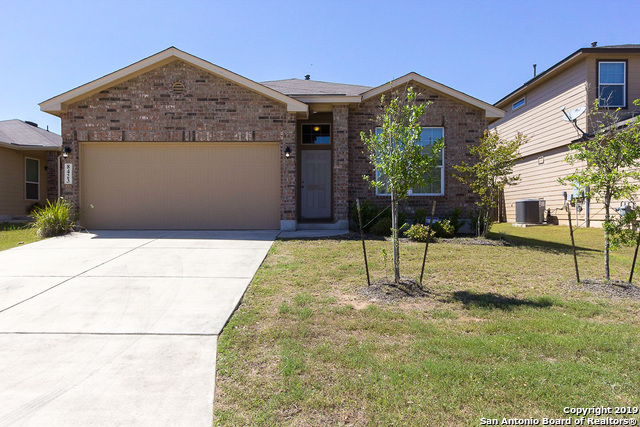 All REMUDA RANCH homes currently listed for sale in San Antonio as of 04/22/2019 are shown below. You can change the search criteria at any time by pressing the 'Change Search' button below. "New Jeffrey Harrison Home Ready to Move-In January 2019. Beautiful 1.5 story plan with 4 bedrooms and 3 baths, study and game room. All stainless steel built in appliances." 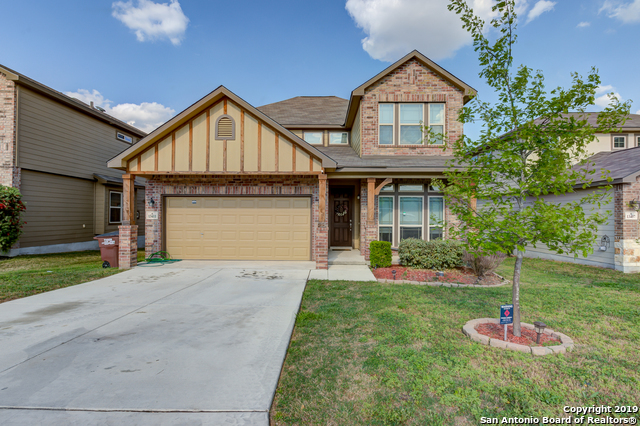 "COME SEE THIS GORGEOUS THIS HOME IN THE DESIRABLE REMUDA RANCH NEIGHBORHOOD AND NORTHSIDE SCHOOL DISTRICT. THE HOME SITS ON ONE OF THE LARGEST LOTS IN THE NEIGHBORHOOD AND FEATURES RECENT PAINT THROUGHOUT THE HOUSE AND CARPET UPSTAIRS. COME ENJOY THE LARGE BACKYARD PERFECT FOR BARBECUES AND FAMILY GATHERINGS. THIS HOME IS READY FOR ITS NEW OWNER. ITS JUST LIKE A NEW BUILT HOME BUT READY TODAY. THE SELLER IS WILLING TO CONTRIBUTE TOWARD CLOSING COST WITH AN ACCEPTABLE OFFER." "Beautiful like new Ashton Woods home near Govt. Canyon! 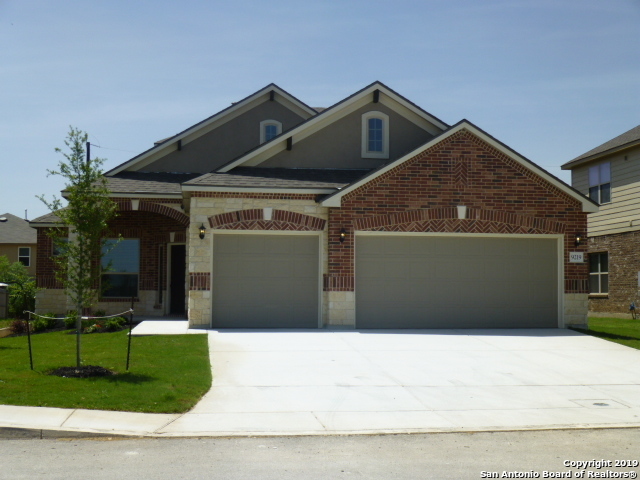 The sought after Comal floor plan. Features 4 bedrooms, 3 full baths & game room all on a single story. This home has wood floors, an open floor plan w/ high ceilings, a gourmet kitchen w/ Texas sized island & built in appliances to include a gas cook top. The master suite includes an over sized shower w/ dual shower heads, over sized separate vanities, a garden tub & large closet w/ dual access. 3 Car Garage. Sprinkler Sys. Fridge, Washe"
"Beautiful 5bd/3.5ba home in sought after Remuda Ranch! Move in ready, 2015 built home features crown molding, oversized tile + luxury plank vinyl flooring on entire 2nd floor! Open floor plan. Stunning Kitchen w/window seating/storage+granite counters overlooking 18x15 Living Room! Downstairs Master Bdrm w/bay window, trayed ceiling + large walkin closet. Mbath w/dbl vanities, garden tub & large walkin shower! Oversized Gameroom! Recent int paint+carpet. Covered patio! Great NISD Schools. ATT fi"
"New Construction. Home ready for move in. Beautiful open layout 1 1/2 story plan with 4 bedrooms, 2 1/2 baths, game room and kid's zone. All stainless steel appliances with single built in oven/microwave and 4 burner gas cook top. Covered patio, oversized 2 car garage, ceramic tile throughout except bedrooms, kid's zone and upstairs game room. 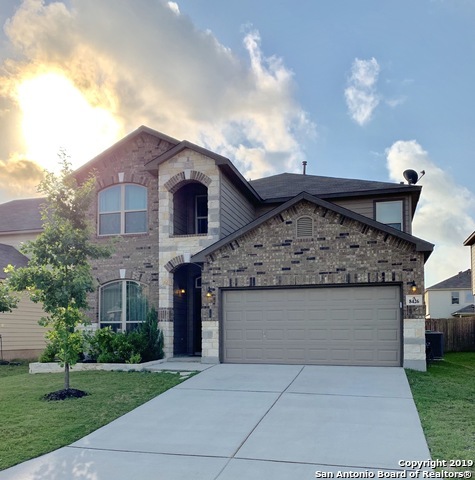 Upgraded front door, 8ft walk in euro shower, 5 1/4 baseboards, garage door opener, full landscape with irrigation system (all 4 sides), ceiling fans"
"***Gorgeous & immaculate 4-2.5-2 w/approx. +2500 sq ft in popular COMMUNITY Remuda Ranch- on a GREENBELT LOT built by M/I Homes* Open floor plan; 2 blinds throughout , front office/study*upstairs game-room*spacious kitchen features ample upgraded cabinets, stainless appliances, Granite counters; m-bdrm downstairs includes bay window, separate tub//shower, double vanity* 3 bedrooms & large game room up*energy saving radiant roof barrier* neighborhood pool, park, playground! ***"
"This beautiful 2 story, 4 bedroom house, in a great neighborhood, is ready to buy. With an open concept floor-plan and high ceilings... this house is perfect for your family. Come check it out before it is gone!" 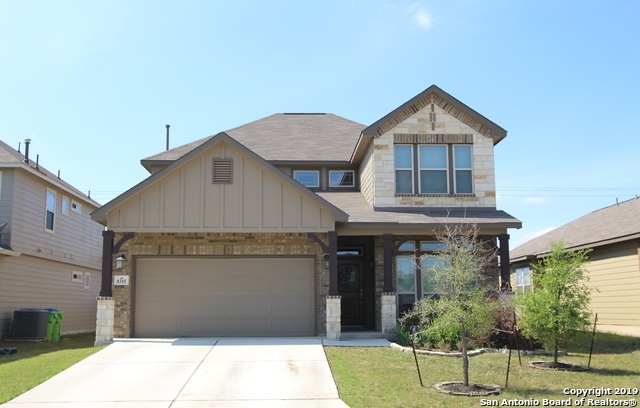 "Built in 2013, this San Antonio two-story offers a front porch, stainless steel appliances, granite kitchen countertops, master bathroom with separate tub and shower, covered patio, and two-car garage. Upgraded features include new carpeting. Community pool and park are part of the HOA. This home comes with a 30-day buyback guarantee. 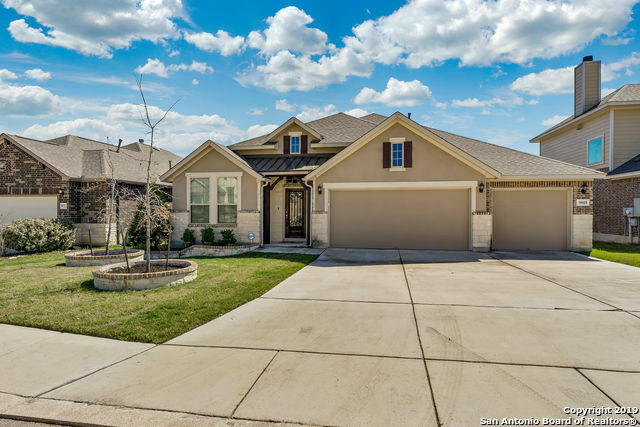 Terms and conditions apply"
"Built in 2014, this San Antonio one-story home offers stainless steel appliances, a covered patio, a walk-in closet in the master suite, and a two-car garage. Upgraded features include newly installed carpet in select rooms. Home comes with a 30-day buyback guarantee. Terms and conditions apply." 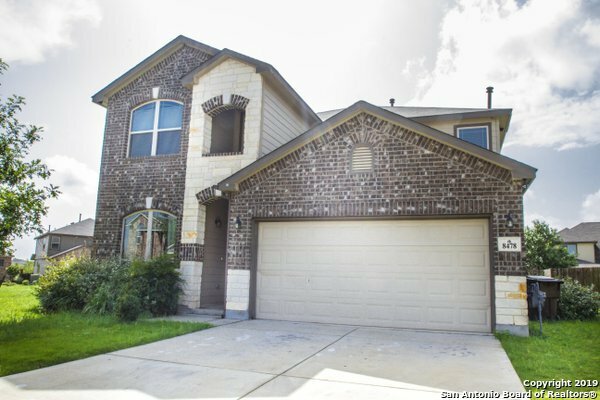 "TERRIFIC location in NW San Antonio. Move right in to single-story living with this immaculate open floor plan in desirable Remuda Ranch. The interior offers high ceilings, granite counters, stainless appliances with gas cooking, a spacious master suite, covered patio. 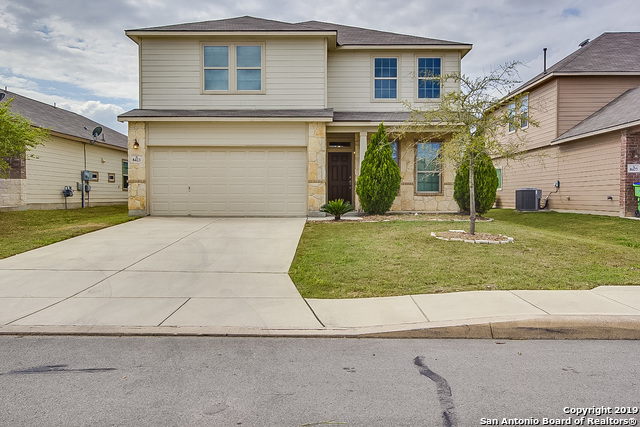 Great location for in-demand schools, nearby shopping, parks and recreation and convenient access to 1604 and the I-10 corridor."